Taking another brief break from Star Wars reviews to look at the deleted scenes from Solo: A Star Wars Story. 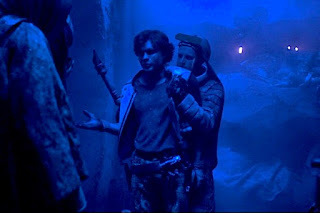 Less a deleted scene than an alternate take on Han's arrival in Proxima's den and his first (onscreen) encounter with Qi'ra, this take arguably serves Qi'ra better, as she's introduced holding a knife to Han's throat before realizing it's him, establishing early her capacity to take care of herself and strike hard when necessary. There's also a bit of banter from Han when he's ultimately captured by Moloch and dragged away to Lady Proxima that is, intentional or not, reminiscent of his later pleas to Jabba after being thawed from the carbonite in Return of the Jedi. This scene basically extends the chase sequence at the start of the movie (it falls between Han & Qi'ra abandoning the speeder Han traps between buildings and their arrival at the Imperial space port). It features the pair trading a bit of humorous banter, and arguably deepens their relationship with a bit of sexual tension as they hide in a bucket of eels, but at the same time, it probably needed to be cut, as it slows the pace of their escape (and the opening of the film overall). Also, at one point, there's a closeup shot of the dog-like creatures Moloch is using to track Han & Qi'ra, which are reminiscent of the demon dogs in Willow, which is interesting only because Ron Howard directed both films. It's probably just a coincidence ("evil dogs" is hardly an uncommon trope), but maybe Ron Howard really doesn't like dogs. 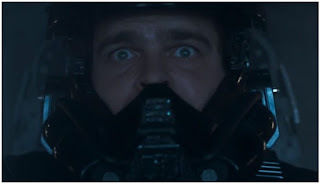 In the deleted scene I most would have liked to see in the film, Han's demotion from the Imperial Academy is depicted (basically, prior to the start of the scene, he broke formation to save his wingmate, but damaged his craft in the process; he's subsequently drummed out for disobeying orders - and being sassy during his hearing). I get why it was cut - pacing issues, again, and arguably, the jump cut from Han joining the academy to being blown up on Mimban works better without this scene, but it still would have been cool to see Han actually flying, however briefly, for the Empire, and it's always appreciated when we get a chance to see more Imperial costumes and architecture on screen. Interestingly, this scene features Han in a TIE fighter with his face exposed; Presumably, this is so we know it's Han, but traditionally, TIE pilots wear full helmets as there's no life support in the ships (Rebels did this a lot too; presumably the training vehicles have full life support). This is also the roughest of the deleted scenes, in terms of final effects work still needing to be done. An extended take on the early scenes set on Mimban, the notable addition here is the character of Korso, whom we see briefly working with Beckett before getting blown up. 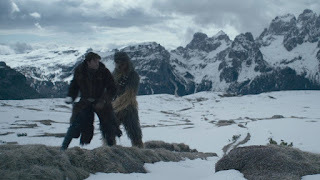 Per the novelization, Korso was another member of Beckett's original crew, intended to serve as the muscle before dying on Mimban (making Han getting to throw in with Beckett the result of his partnership with Chewie, as Beckett needed Chewbacca to be his new muscle), but he was ultimately cut entirely from the film. He's also seen using the same kind of heavy repeating blaster that Baze Malbus uses in Rogue One. Like the Mimban scene, an extension of the first encounter between Han & Chewbacca. The most notable difference is that their secret battle of pretend is longer, and Han has to work to get Chewie back into it after it doesn't immediately work (which ultimately means Han gets wailed on a lot more). A funny scene that does a lot to build the friendship between Han & Chewbacca (they basically get in a snowball fight as an annoyed Beckett does his best to ignore them), it's pretty obvious why it got cut, as it's tonally out of place, falling as it does immediately after Val's death and the failed coaxium heist. The added material basically amounts to a comedy bit involving Han trying (and failing) to eat what is seemingly an exotic buffalo wing/crab leg-style thing while Dryden expresses his disappointment with Beckett. Again, it makes sense this was cut, as the comedic tone is at odds with the sense of menace meant to be building in the presence of Vos. The shortest of all the deleted scenes, this basically amounts to showing Han getting the inspiration for the climactic coaxium swap as he asks the workers of the coaxium refinery if they have any more canisters. That's it. Barely qualifies as a scene.